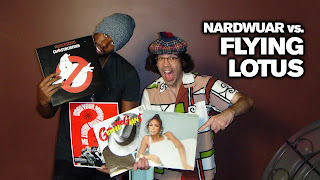 Nardwuar The Human Serviette News: New Evaporators vid and Nardwuar vs. Flying Lotus ! New Evaporators vid and Nardwuar vs. Flying Lotus ! The Evaporators ft. Jill Barber & Andrew W.K. - Bring it on Home ! New Interview: Nardwuar vs. Flying Lotus !